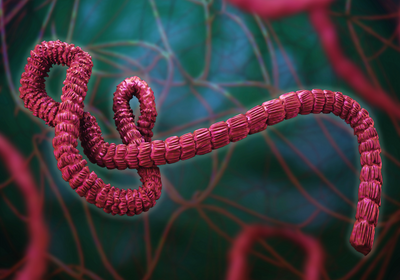 Health officials in Democratic Republic of Congo are planning to launch a clinical trial of four Ebola treatments, STAT reports. The experimental drugs include an antiviral medicine and three monoclonal antibodies. Rather than have a control arm, the trial will compare the efficacy of the four experimental treatments against each other, at least in Democratic Republic of Congo (DRC). Other countries that participate in the trial may choose to include a current treatment as a control arm. The drugs include the antiviral Remdesivir, and the antibodies ZMapp, REGN 3470-3471-3479, and mAB 114, which is being developed by DRC’s National Institute of Biomedical Research and the US National Institutes of Health. 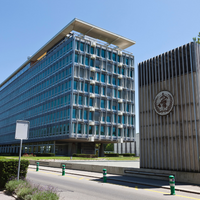 The study will likely run over the course of several outbreaks in multiple countries, and it will probably begin this month, Jeremy Farrar, the head of the Wellcome Trust who is the co-chair of a group drafting the trial protocol, tells STAT. 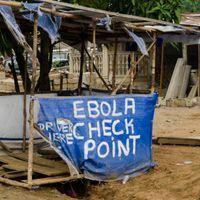 Patients in the current outbreak, which began this summer and is the third largest Ebola outbreak on record, have been receiving these treatments for several weeks through a World Health Organization (WHO) compassionate-use protocol, STAT reports. 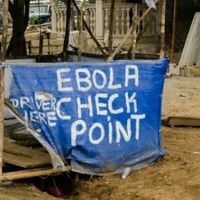 As of Friday (November 9), 139 Ebola patients had received one of the four drugs. Although it’s unusual to use unlicensed drugs in such large quantities outside formal clinical trials, the idea was to get treatments started while health officials designed and made negotiations for the human study. Researchers have been collecting some data on those patients receiving the drugs, but it hasn’t been standardized, and that’s what’s needed, Annick Antierens, a strategic adviser for Médecins Sans Frontières’s medical department, tells STAT. “We need to start randomizing. 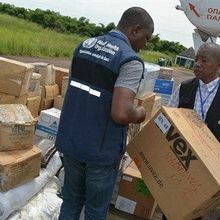 We need to start generating evidence and having a harmonized way of collecting data.” Mike Ryan, deputy head of the WHO’s emergency response operation, tells STAT that he believes this compassionate-use period has been an opportunity for health workers to get familiar with administering the drugs.